Dr. MacDowall completed his undergraduate studies at State University of New York and Liberty University Pre-Medicine. He went on to attend Life University School of Chiropractic in Atlanta, Georgia. where he earned his Doctor of Chiropractic degree in 1991. Dr. MacDowall strives to improve and update his knowledge in the field of Chiropractic and related studies. He strengthens his understanding of diagnosis and treatment of spine and joint disorders by reading research and attending postgraduate seminars on related subjects such as low force treatment techniques, biomechanics, foot corrective orthotics, and nutrition. His love of chiropractic and genuine concern for others are two qualities that impress those who know him well. 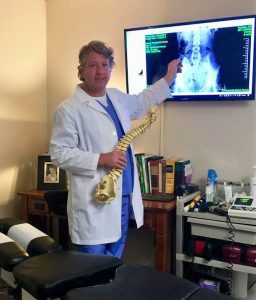 Professionally, Dr. MacDowall is a member of the American Chiropractic Association and the Christian Chiropractic Association. Dr. MacDowall gives lectures to local groups and organizations on various health-related topics. Call the office for more information or to schedule the doctor for your next meeting or event. Dr. MacDowall, his wife, and their three children reside in Chesapeake. They enjoy the beauty of the area, the culture, and all the recreational activities the region provides. Alexandra is our office admin, front desk. She has been with us for a year and counting. She is a certified medical assistant. 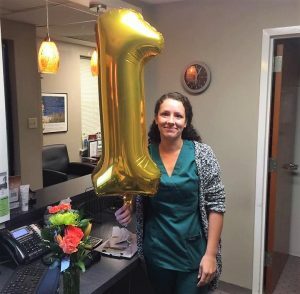 Before she joined our team, she was with Sentara for over 3 years, with a long history in healthcare. She has a beautiful daughter, who is making her strive for better health and wellness.